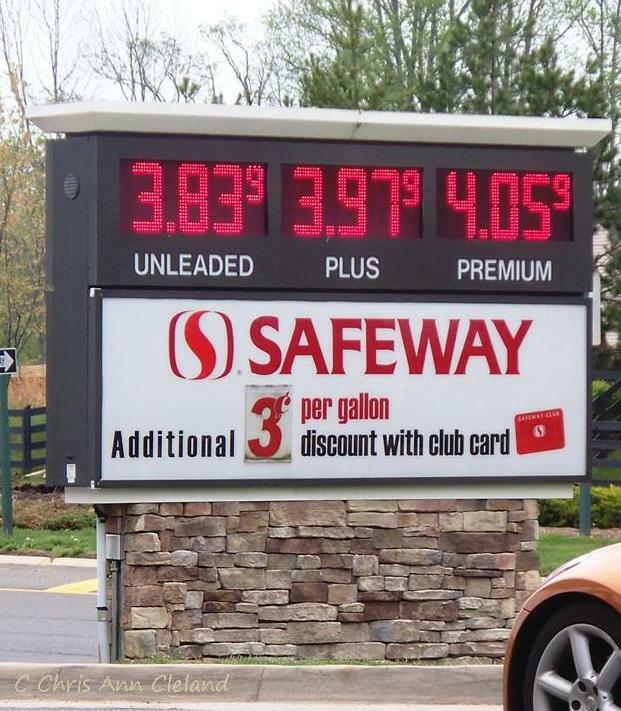 I was filling up at the Safeway gas station in Braemar Village Plaza on Saturday and snapped this photo of gas prices. I am sure they are even higher now. Seems we all get numb to ever-increasing price of gas. I’m fortunate in my career as a Real Estate Broker that I can pick and choose how far I wish to drive for work. And a lot of my job as a Listing Agent and Short Sale Agent can be handled remotely…so I get to work from my Braemar home just about every day. However, for those that commute to Washington, DC and Arlington every day, the price of gas can present quite a crisis. While gas prices continue to rise, many government employees have found their pay frozen. It’s a good thing that Braemar is so close to the VRE. For those of you unfamiliar, the VRE is short for the Virginia Railway Express. Braemar is located less than six miles from the Broad Run VRE. The VRE is a great commuting solution for Braemar residents who work in DC or the Arlington area. The Crystal City VRE stop drops you off so you can hop a ride on the Metro to get you even closer to work. The rising price of gas is likely to increase demands for homes like those in Braemar that are close to mass transit. If you’re looking for your next home and would like to investigate Braemar, give me a call. No one knows Braemar better! What Can You Buy in Braemar for Under $350,000? What can a Buyer expect to get for under $350,000 in Bristow’s community of Braemar? Well, a quick MLS (Mulitple Listing Search) of the neighborhood reveals a few things. If you wanted to go really far below $350,000, you will find townhouses. Townhouses without garages sell in the price ranges of $210,000-$250,000. 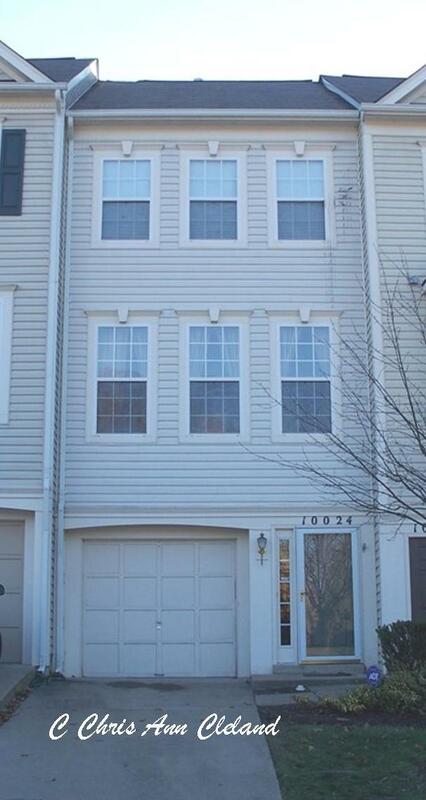 Of course, if you prefer a two car garage, you can always buy a piggy back townhouse around $230,000-$250,000. That means you’ll have no backyard and if you’re an interior unit, only have windows on the front of your home. But what about a single family home? Can you get one in Braemar for under $350,000? Sure! You’ve got a few options there too. In the $280,000 range you can have a smaller single family home (known as a Carriage home) without a garage. Still need that garage? Try this on for size. A Courtyard home with 3,260 finished square feet. It’s got a two car attached, front load garage and BIG bedrooms. It’s located at 10033 Pentland Hills Drive and is priced at $327,500. 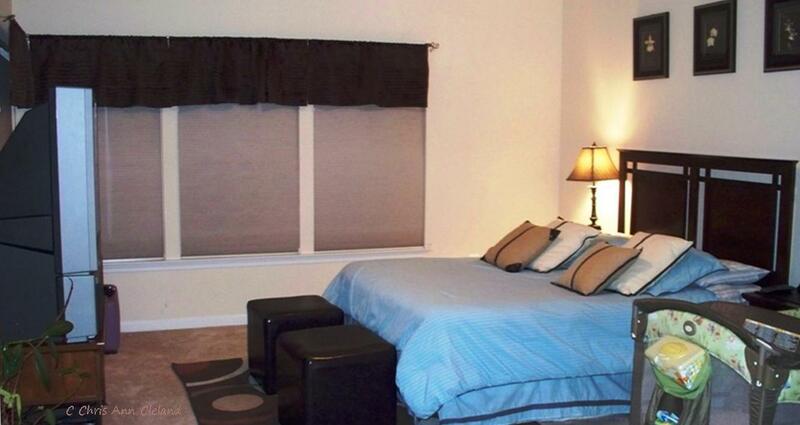 The Master Suite is 20 ft. x 13 ft and that doesn’t include the luxury bathroom or walk-in closets. The next largest room is 16 ft x12 ft. The smallest bedroom is 11 ft. x 10 ft. There’s another full bathroom up here too. And did I mention the laundry room is on the bedroom level? The main level floor plan is contemporary with the granite counters in the kitchen overlooking the family room and it’s gas fireplace. There’s even table space for a breakfast area. You’ll also enjoy the hardwood floors in the kitchen. And just off the family room is the first of two composite decks. Formal living and dining rooms, at an angle to one another, add to the contemporary feel of the home. Basement is mostly finished with a large recreation area that has a walk out exit to the brick paver walkway that walks you around the lower level composite deck. 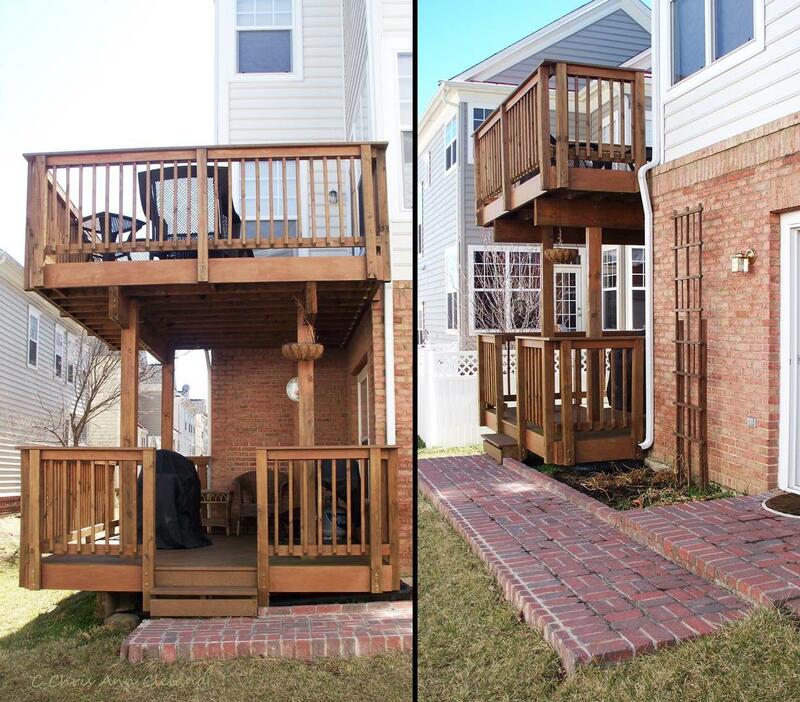 The second deck above, makes this one covered and great for outdoor enjoyment on a sunny, hot day. There’s even a full bathroom in the basement. So let’s see….you can get three bedrooms, three full bathrooms, a two car attached garage, two composite decks, kitchen with hardwood floors and granite counters, and a finished basement for only $327,5000. And that’s not a Short Sale either. The owners can give you an answer within 24 hours as to whether or not your offer is acceptable. Along with all the amenities of Braemar, you will enjoy having basic cable and internet included as part of your HOA dues. The only thing you are giving up is a large yard, but that just means more maintenance in the long run. So what are you really losing? 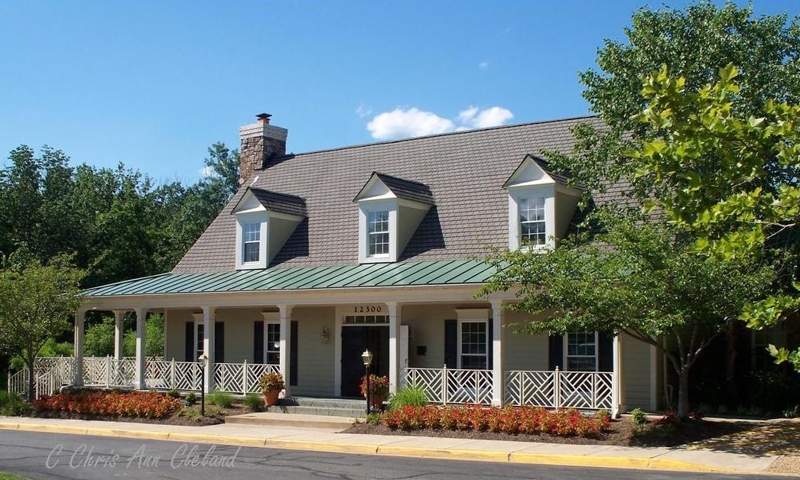 To make an appointment to see this outstanding value in Braemar, contact the listing agent: Chris Ann Cleland, Associate Broker with Long & Foster REALTORS® , 703-402-0037. With the first quarter of 2011 behind us, it’s time to take a look at the first three months’ resale activity for condos in Braemar. This will give us a great idea as to the average market value for Braemar condos and other market factors at work in our local real estate market. There were only two resales of Braemar condos during the first quarter. This is two fewer than the fourth quarter of 2010. However, with both of the condos having sold for $205,000, our average market value is up over 3% in one quarter. The two sales were comprised of one Short Sale and one regular sale. Condos currently under contract, or on the market, include two Short Sales and one Foreclosure. If you placed your Braemar condo on the market today, and priced it to current market conditions, this report indicates that you could expect to be under contract in about five weeks. 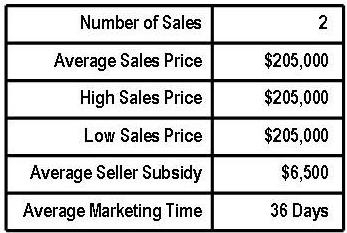 You could also expect a Buyer to ask for 3% of the sales price in closing cost assistance. The next Braemar Condo Quarterly will be out in June. Until then, if you are thinking of selling your Braemar condo, give me a call. As a full-time Bristow real estate agent since 2005, and a Short Sale Specialist since 2007, I can help you no matter your current situation. Remember, no one knows Braemar better! Braemar HOA Dues: What Do They Buy You? When buying a townhouse or single family home in Braemar, you’ll get access to great community amenities. Braemar has two swimming pools, multiple basketball and tennis courts, parks and playgrounds, even walking trails. They also have a community clubhouse available for party rentals. All Braemar residents get access to these amenities. What is different is whether basic cable and internet access are included in your Breamer HOA dues. Braemar is a community that is broken into several sub-associations. Some sub-associations get their basic cable and internet included as part of their HOA dues. Others do not. If knowing what you are getting from your HOA dues is important when making your Braemar home purchase, make sure you are working with a community expert who knows which homes come with the added amenity of basic cable and internet. I’ve been a Braemar resident since 2004 and a full-time Bristow real estate agent since 2005. I know which Braemar homes get that additional amenity and would be happy to help you find one that meets your needs.